We have to advise against cuddling with a great white shark. We know that they look like a lot of fun to hug, but we did a little bit of research and our zoologist friends have recommended a “no-touchy” policy when it comes to interacting with dangerous sharks. It did, however, lead us to wonder whether or not sharks sleep. They need to keep moving, so do they ever get a chance to take a nice, cozy nap? Well, the answer is complicated and scientists still aren’t quite sure, but until then, we’re going to pay tribute to sleepy sharks everywhere with this shark union suit! This shark union suit has a two in one purpose. Not only does it make for a cool costume to wear to your next costume party, but it also doubles at a cozy outfit to snuggle up in during nap time. 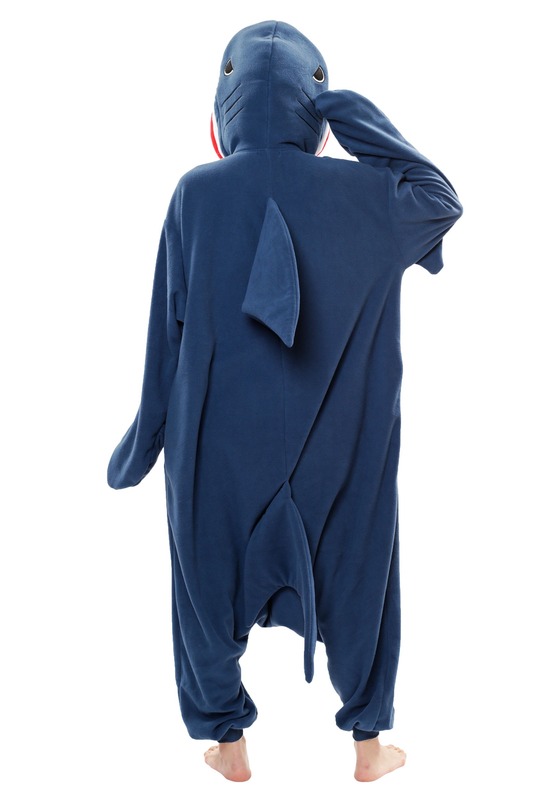 It has a fabric fin attached to the back of the jumpsuit and the hood is shaped liked a shark’s head. It even has a set of fierce looking teeth. And that’s not even the best part! 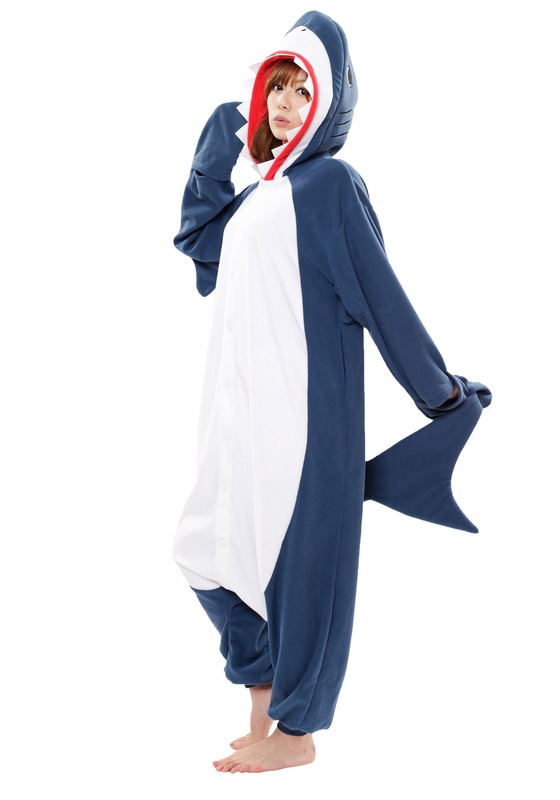 It’s made of a super-soft material that you’ll love to slip into for all relaxation purposes, so even if real sharks aren’t capable of sleeping in the wild, you’ll be capable of it while wearing this outfit. We’ll continue researching about the sleep patterns of sharks (if they even exist). If we find out that sharks can’t sleep, then maybe we’ll just send those great white sharks of the wild a pair of these soft pajamas to help them get a nap in!